Get notified when Life in Color tickets are available! Life In Color is a concert series that brings together electronic music and artistic performers who perform circus type stunts. Throughout the concerts, members of the audience are sprayed with paint. The series started in 2006 under the name Dayglow and has been touring under its present name since 2012. Performers vary from concert to concert. 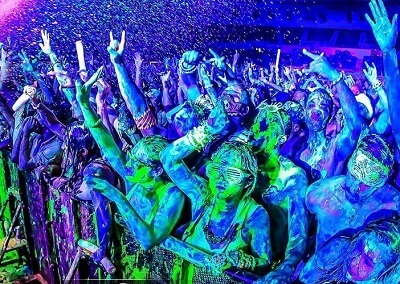 The Life In Color Tour travels to cities all across the United States throughout the year. If you’d like to attend one of their paint parties, use the links above to purchase Life In Color tickets for an event in a city near you.